Thursday, Feb. 7, 1907 edition of The Northwest Blade. 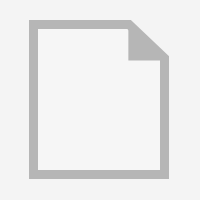 4 page paper including articles and advertisements. Paper contains some writing in it as well as tears down the center crease of the paper. Edition of the McPherson County Herald that highlights the history of Leola, SD. 16 page newspaper. Four page German Newspaper. Newspaper is dirty, stained, ripped, marked up throughout. 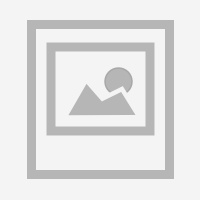 Photo album with brown wooded cover. Photo album contains 22 photographs of Eureka's Diamond Jubilee Parade held in 1962. 8 page newspaper. Newspaper is faded and contains folds and tears throughout. Newspaper is entitled "Eureka is Center of Rich Grain and Dairying Region. Sepia tone photograph mounted on manilla paper. Below photograph written in blue ink "John A. Smith, Christoph Becker, Joe Schatz. Christoph Becker and Joe Schatz Harness Shop". Photograph is faded, discolored and dirty. 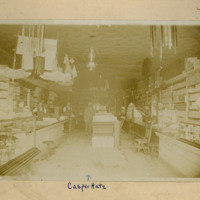 Sepia tone photograph with white frame. 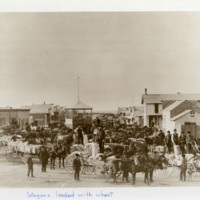 Below photograph written in blue ink "Wagons loaded with wheat". Sepia tone photograph mounted on manilla cardboard. Below photograph written in blue ink with a blue arrow pointed into the photograph "Casper Hatz". Photograph is very faded, discolored, and dirty. 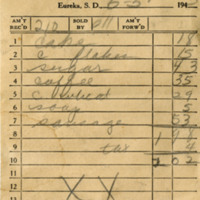 Tan receipt with pencil writing and a red 13 on the bottom. Receipt is stained and worn.